In my daily work supporting and developing the WP RSS Aggregator plugin, I get many requests from people needing to do quite interesting things with RSS feeds. One of these is sending RSS feed updates to their email inbox. Many times users would have created a custom feed on their website which aggregates content from several other websites, and want that feed delivered to their inbox. That’s one of the use case of WP RSS Aggregator and this functionality is built into the core plugin itself. Turns out that RSS to Email is a very easy thing to do. Personally, I use Blogtrottr to deliver email updates to my inbox for WP RSS Aggregator’s WordPress.org support forum. When someone posts a new topic or reply in the forum the RSS feed of that forum gets updated and hence I get an email with the user’s post in the forum and a link to it, so I can easily get back to the forum and reply to him. 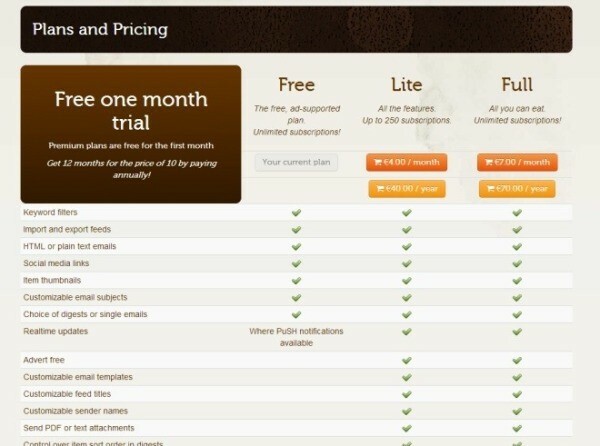 The basic version of Blogtrottr is free but they also have 2 premium plans which basically remove advertisements and allow you to have more subscriptions. You don’t even have to sign-up in order to receive a feed. Once you enter all this information you will get confirmation email and you’re done! Similar setups can be achieved using Zapier and IFTT. How do you use RSS feed to Email? Can you think of some cool uses? Hi there fantastic website! Does running a blog such as this require a great deal of work? Next Entry: Should I Switch My WordPress Website to HTTPS?